reaching to readers around the globe who are researchers, academics, professors & students. Except from possibility to buy books from our library collection, we offer a space to put advertisement in our new editions. phenomena that is very often to be met in the region of SEE. Promoting Tunnelling in SEE region 2015. Local needs and international experience & Methods and technologies. 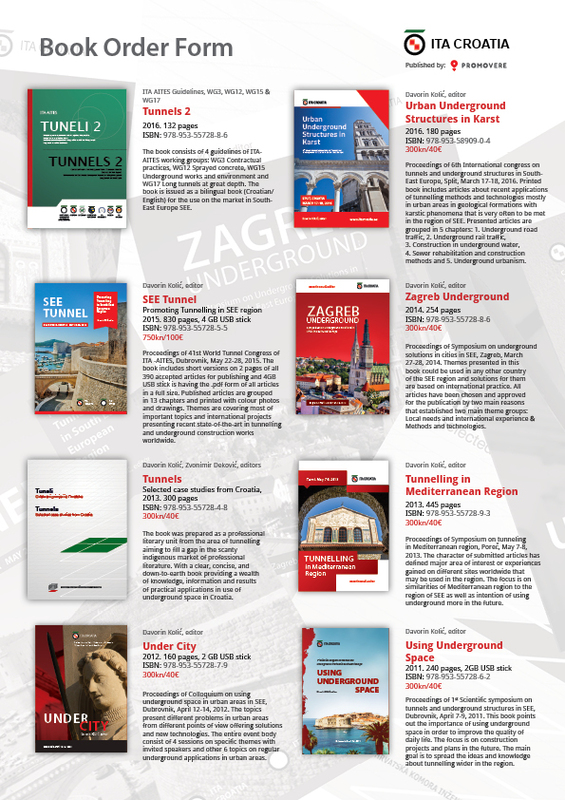 applications in use of underground space in Croatia. region of SEE as well as intention of using underground more in the future. other 6 topics on regular underground applications in urban areas. and knowledge about tunnelling wider in the region. the tunnels constructed by conventional excavation methods.